Welcome to the Toolkit Apps and Engines listing. This page shows all the different apps that are available, grouped by engine. For more information about a particular item, just click the icon to see further details. The Shotgun engine for 3ds Max Plus provides a bridge between the 3ds Max application and the Shotgun Pipeline Toolkit. The engine supports PySide and all Multi apps, meaning that you can run our standard apps inside of 3ds Max - the same apps that also work in Maya, Nuke etc. This engine uses the 3ds Max Plus python API. Supported application versions: 2016+. This is a simple yet useful app that syncs your current file with the latest frame range in Shotgun for the associated shot. If a change to the cut has come in from editorial, quickly and safely update the scene you are working on using this app. Towards the end, it will display a UI with information about what got changed. This app shows a breakdown of all the currently running apps. It also shows the current work area and provides links to documentation and into Shotgun. This app launches Screening Room for the current context. Jumping into your review session has never been easier! Just click a button and Screening Room will open, focused on the particular shot or asset you are currently working on. This also makes it really easy to see your submitted versions in context or review different variations that you submitted from inside your content creation application. A Shotgun Snapshot is a quick incremental backup that lets you version and manage increments of your work without sharing it with anyone else. Take a Snapshot, add a description and a thumbnail, and you create a point in time to which you can always go back to at a later point and restore. This is useful if you are making big changes and want to make sure you have a backup of previous versions of your scene. This application forms the basis for file management in the Shotgun Pipeline Toolkit. It lets you jump around quickly between your various Shotgun entities and gets you started working quickly. No path needs to be specified as the application manages that behind the scenes. The application helps you manage your working files inside a Work Area and makes it easy to share your work with others. The Shotgun Panel lets you quickly access Shotgun information from an embedded panel. It provides easy access to information about the task that the user is currently working on and you have instant access to the activity stream, notes, tasks, versions and publishes. Play back versions sent to review by other members of your team. Reply to notes directly from inside your application. If you pipeline tracks dependency information, you can browse this directly from the Shotgun Panel as well. The Publish app allows artists to publish their work so that it can be used by artists downstream. It supports traditional publishing workflows within the artist’s content creation software as well as stand-alone publishing of any file on disk. When working in content creation software and using the basic Shotgun integration, the app will automatically discover and display items for the artist to publish. For more sophisticated production needs, studios can write custom publish plugins to drive artist workflows. The Shotgun engine for After Effects contains a standard platform for integrating the Shotgun Pipeline Toolkit apps into After Effects. Once installed, it allows you to run the same apps that you have in Maya, Nuke, Photoshop and other applications. The full API is exposed to app developers, which means that you can rapidly build After Effects functionality using Python and Qt without having to compile anything or understand the details of how to build and deploy a After Effects plugin. Supported application versions: 2017-2019. The Shotgun engine for Alias Autostudio and Alias Surface & Design establishes a bridge between the Shotgun Pipeline Toolkit apps and Alias. It also contains a PySide distribution, designed to connect QT inside Alias. This makes it possible to write apps, using Python and PySide, that run inside the engine. Supported application versions: 2019, 2020. The Shotgun engine for Flame creates a bridge between the various integration hooks that are available as of Flame 2015 Extension 2, and acts as a host for executing Toolkit Flame apps. Supported application versions: 2016+. The Flame shot exporter makes it easy to kickstart your Shotgun project! Simply select a Sequence to export inside of Flame, and the exporter will take care of the rest. It will create shots, tasks, set up cut information in Shotgun, generate folders on disk, render out plates to disk and send the media to Shotgun Review. Once done, you can jump straight into other tools such as Flare or Nuke to continue your work there. The Flame Review app makes it easy and effortless to send sequences to review in Shotgun. Flame will generate a quicktime and upload it to Shotgun where it can be reviewed in Screening Room, the Client Review Site or the Shotgun iPhone app. All processing is running in the background so that you can focus on the work at hand. The Shotgun engine for Houdini establishes a bridge between the Shotgun Pipeline Toolkit apps and Houdini. It contains a Qt/PySide distribution for Windows, which is compatible with the python version bundled with Houdini, making it possible to write apps using Python and PySide that run right inside the engine. Supported application versions: 14.0 - 17.5. This app provides a Houdini Alembic output node whose output path is prepopulated with a location based off a set of Toolkit configurations and the path of the Houdini scene generating the content. This app provides a Houdini Mantra output node whose output path is prepopulated with a location based off a set of Toolkit configurations and the path of the Houdini scene generating the content. The Scene Breakdown App shows you a list of items you have loaded (referenced) in your scene and tells you which ones are out of date. From this overview, you can select multiple objects and click the update button which will update all your selected items to use the latest published version. The Shotgun engine for Mari provides a bridge between the Mari application and Shotgun through the Shotgun Pipeline Toolkit. The engine uses metadata in Mari to help track projects, geometry and geometry versions. Together with the loader, breakdown and publish Multi-apps, it helps integrate Mari seamlessly into the rest of your pipeline. Supported application versions: 2.6 - 4.2. The Shotgun engine for Maya establishes a bridge between the Shotgun Pipeline Toolkit apps and Maya. It also contains a PySide distribution, which is designed to connect to the QT inside of Maya, making it possible to write apps using Python and PySide that run right inside the engine. Supported application versions: 2014-2019. The Shotgun engine for Motionbuilder establishes a bridge between Shotgun Pipeline Toolkit apps and Motionbuilder. It also contains a PySide distribution, which is designed to connect to the QT inside of Motionbuilder, making it possible to write apps using Python and PySide that run right inside the Engine. Supported application versions: 2016-2019. The Shotgun engine for Nuke establishes a bridge between Shotgun Pipeline Toolkit apps and Nuke, Hiero, and Nuke Studio. Because Nuke contains both PySide and Python, the engine is a relatively thin layer that mostly handles menus and startup. The engine exposes several menu handles through its interface, allowing an app to register items on the main menu as well as the node and pane menus in Nuke. Supported application versions: 7.0 - 11.3. This app contains a custom Write Node gizmo for Nuke, abstracting away the file system paths from the user, allowing them to focus on just naming the particular output. Shotgun takes care of the rest! This app is typically used in conjunction with the Publish app and if you install the publish app for nuke, you most likely want to install this one too! This is a simple app that finds the Shots in Shotgun related to the selected track items and opens their detail pages in a browser window. This app adds Shotgun functionality to the Nuke Studio sequence export. It registers a new preset that will use templates to determine the output paths for a shot, include a shotgun aware transcode step to publish plates for Screening Room, and setup a mapping from Nuke Studio tags to Shotgun Shot statuses and Shot task templates. On export, Shots in Shotgun are updated and the full directory structure on disk as configured in the schema is created. This app adds a Nuke node which you can add anywhere in your node graph. Once added to your scene, you can double click the node, go to the properties page and hit the "Send to Review" button. The app will then render a quicktime of your scene, add burnins and slates and upload it to Shotgun. An app that provides functionality to help submitting image sequences as Versions in Shotgun for review. This app does not have a UI but instead provides API methods for quicktime and review generation. You can call the app from your scripts, or from within hooks. For example, your publish configuration can call this as part of a post process hook if you want to create a quicktime and send it for review. This app will generate a quicktime with burn-ins and slates. You can configure if you want it to upload the quicktime to Shotgun or keep it on disk, or both. Lastly it will create a new version inside of Shotgun, ready to reviewed in Screening Room! The Shotgun engine for Photoshop contains a standard platform for integrating the Shotgun Pipeline Toolkit apps into Photoshop CC. Once installed, it allows you to run the same apps that you have in Maya, Nuke and other applications. The full Photoshop API is exposed to app developers, which means that you can rapidly build Photoshop functionality using Python and Qt without having to compile anything or understand the details of how to build and deploy a Photoshop plugin. Supported application versions: 2015.5 - 2019. The Shotgun engine for the shell works in conjunction with the Tank command. Once the engine has been installed, you can run Shotgun Pipeline Toolkit apps straight from the command line. The Tank command will take care of listing and presenting the user with the different installed apps that are available. The engine forms the bridge between the terminal and the installed apps. If you have PySide or PyQt installed, you can run apps that have a UI straight from a shell. This app is the link between Perforce and Shotgun. Newly submitted Perforce changes containing files recognised by Toolkit will have a Revision entity created for them in Shotgun and each file revision will have a PublishedFile entity registered. The app can be run as a background process/daemon to ensure that Shotgun is kept in sync with Perforce. The Launch app makes it easy to jump from Shotgun or other environments right into an application. It supports a number of common applications such as Maya, Nuke, Photoshop etc. - see the documentation for the full list. We are adding support for new applications regularly as we build engines for them. When an application is being launched, the Shotgun context (the current Work Area) is set and the Shotgun pipeline toolkit is initialized and launched. It also handles folder creation on disk if you are using a user work sandbox. When the app has launched you will see a Shotgun menu, focused around the context you selected in Shotgun, ready for you to start work right away in the right part of the file system. These demos provide demonstrations of Shotgun's native developer platform components including the Shotgun Utilities framework, the Qt Widgets frameworks and Toolkit core. The Shotgun Engine makes it possible to integrate Shotgun Pipeline Toolkit Apps right into Shotgun. 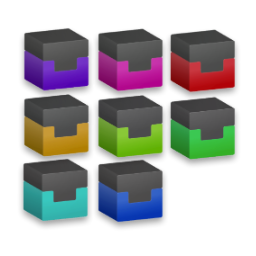 These will appear inside of Shotgun on the Action menu and can be attached to most project-centric entities. You can, for example, launch an application straight from a task, or launch apps that handle deliveries of Review Versions, Summaries or reports for Shots or Notes. This app makes it easy to jump from Shotgun into the file system. Just click a Shot, Asset or other entities and select the Show in File System option - Shotgun will launch a finder window on the mac, your preferred browser on Linux and explorer on Windows. This app works in conjunction with the launcher app and lets you right click on a published file in order to launch it in its host application. Shotgun will start up the relevant application and initialise the Shotgun Pipeline Toolkit via a launcher app and then finally load the file in. This app launches Screening Room for the selected item. Jumping into your review session has never been easier! Just click a button and Screening Room will open, focused on the particular publish or shot you want to have a closer look at. The Shotgun engine for Softimage establishes a bridge between the Shotgun Pipeline Toolkit apps and Softimage. It contains PySide/Qt distributions, making it possible to write apps using Python and PySide that run right inside the engine. This document refers to more advanced configuration setups. Supported application versions: 2012, 2013. The Shotgun engine for VRED establishes a bridge between the Shotgun Pipeline Toolkit apps and VRED Pro and VRED Design. It also contains a PySide distribution, designed to connect QT inside VRED. This makes it possible to write apps, using Python and PySide, that run inside the engine. Supported application versions: 2020. A majority of the Shotgun Pipeline Toolkit Apps are what we call multi apps; they have been designed to work in multiple environments. The same data loader or publishing system works for example in both Nuke, Maya, 3DS Max and other packages. This makes it easy to develop consistent looking pipelines and means that whenever a new engine is developed, a number of multi apps already exists and are typically quick to configure. Multi apps typically have a number of hooks in which they define the specific calls that each target environment requires. This makes it easy to customize their behaviour and at the same time keep their consistent look and feel. This is the legacy publish multi-app. For information about the new publisher, see the Integrations User Guide. The Publisher is a workflow app that artists can use to publish files to Shotgun. The app provides a simple UI on top of a highly customizable core that can be easily configured to publish any combination of files or data from a work scene and it's dependencies (e.g. the Maya scene, Nuke Script, OBJ's, Alembic Caches, Cameras, Textures, etc.). The multi publish app is used in all default configurations and can be easily configured to support workflows ranging from Alembic Cache generation in Maya to render publish in Nuke, art reference management in Photoshop or plate ingestion in the Shotgun and shell environments. Frameworks are collections of functionality which makes it quick to write apps. It may be a collection of UI widgets to help build consistent user interfaces or a collection of technology to help making file transfers easy. This framework provides common Perforce actions and utility functions that can be used by other apps and hooks to integrate with Perforce. It also includes the default set of app hooks that the Games configuration uses for this integration. A collection of Shotgun related Helpers and utilities to make App development easier. Includes a Shotgun (MVC) Model which makes it easy to connect a Shotgun query with a standard QT View Widget such as a list view, tree view or spreadsheet. Includes a settings module which makes it easy to manage user preferences in apps and an asynchronous (background) Shotgun data retriever. An interface for managing login information in a secure way along with a standard dialog to collect the information. Also includes an implementation for logging into Shotgun. Interfaces for some standard Toolkit administration commands. Upgradable startup logic for the Shotgun Desktop. This is a system framework that is being auto-downloaded by the Shotgun desktop at startup, containing all the bootstrap logic that it needs in order to initialize itself. 2015-09-04 09:28:20,509 [ WARNING] Could not push DllDirectory under Windows. 2015-09-04 09:28:20,525 [ WARNING] Could not restore DllDirectory under Windows. Include error. Could not resolve references for E:\shotgun\config\env.\includes\app_launchers.yml: Undefined Reference maya2016_windows! TankError: Include error. Could not resolve references for E:\shotgun\config\env.\includes\app_launchers.yml: Undefined Reference maya2016_windows! 2015-09-04 09:28:31,424 [ WARNING] Could not push DllDirectory under Windows. 2015-09-04 09:28:31,428 [ WARNING] Could not restore DllDirectory under Windows. 2015-09-04 10:29:42,089 [ WARNING] Could not push DllDirectory under Windows. 2015-09-04 10:29:42,101 [ WARNING] Could not restore DllDirectory under Windows. This page is almost unreadable! Every paragraph starts with "This document describes functionality only available if you have taken control over a Toolkit configuration." This same line is repeated 93 times!